I had friends visiting for tea the other day and wanted to make something quick, easy and spicy. 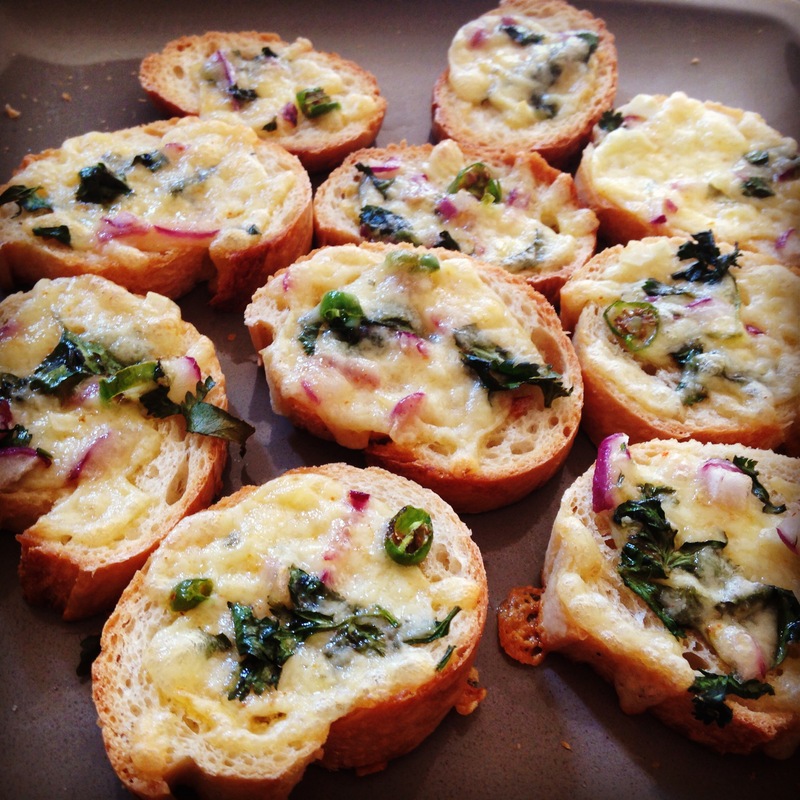 The wonderful flavours of Indian style chilli cheese toast were a huge hit with my friends. Here’s the recipe for some easy entertaining the next time you have friends coming over. The recipe makes around 18 chilli cheese toast canapes. 1. Preheat the oven to 200C and get to work on the rest of the ingredients. 2. Slice the baguette and place on a baking tray lined with parchment paper or foil. 3. Combine the rest of the ingredients in a bowl and mix well. 4. Divide the cheese mix on top of the baguette slices. 5. Bake for 8-10 minutes until the cheese melts and the bread is crisp. The cheese mix can also be made ahead of time so all you need to do when guests arrive is slice the baguette, drizzle with cheese and bake. mouth-watering cheese toast, I just want to make it for myself right away!